Fashion Herald: Happy Birthday, Lane Bryant 34th Street! Happy Birthday, Lane Bryant 34th Street! 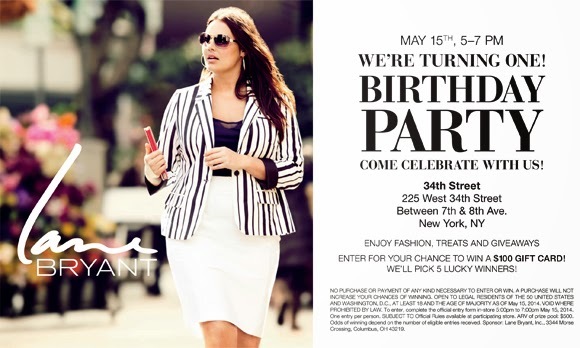 Lane Bryant is celebrating the one-year anniversary of their flagship store on 34th Street with a big party! From 5pm-7pm this Thursday, May 15th, stop by Lane Bryant 34th for treats, giveaways, and a chance to win a $100 gift card. Lane Bryant is giving away five $100 gift cards and a chance to get 50% off two full-price items (you must be at the party to enter). See you at Lane Bryant this Thursday! Urban Outfitters Herald Square: Almost Open!